Before Y2K panic fully set in, the summer months of 1999 treated us to enough ear "candy" to last us well into the new "millennium." Having completed my freshman year at Boston University, I got through a summer in which I participated in local community theater, grieved over the final episode of Melrose Place, briefly worked as a debt collector, became employed by the New Rochelle Public Library on a measly $7 an hour, and traveled to West Coast for the first time in my life -- thanks to the following playlist. 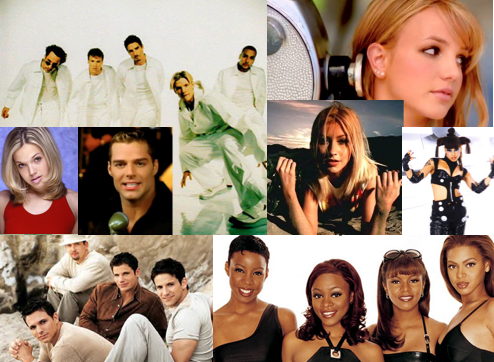 And yes, all of these songs are now 15 years old. You're welcome. 1. "I Want It That Way" by Backstreet Boys: Why an airport setting? Who cares? At least Kevin got his solo. And nearly two decades later, we're still trying to figure out which "way" they want it. 5. "Candy" by Mandy Moore: This song is now as old as she was when this debuted. 10. "Bills Bills Bills" by Destiny's Child - Looking back, this could've been a clip from Beauty Shop: The Musical. 12. "Someday" by Sugar Ray - Back when it was okay to admit to liking Mark McGrath. 15. "It's Not Right But It's Okay" by Whitney Houston: I think we can all agree that it's all about the Thunderpuss Remix.